This entry was posted in All News and tagged orchestra musicians, Regional Orchestra Players' Association, ROPA on September 8, 2014 by admin. 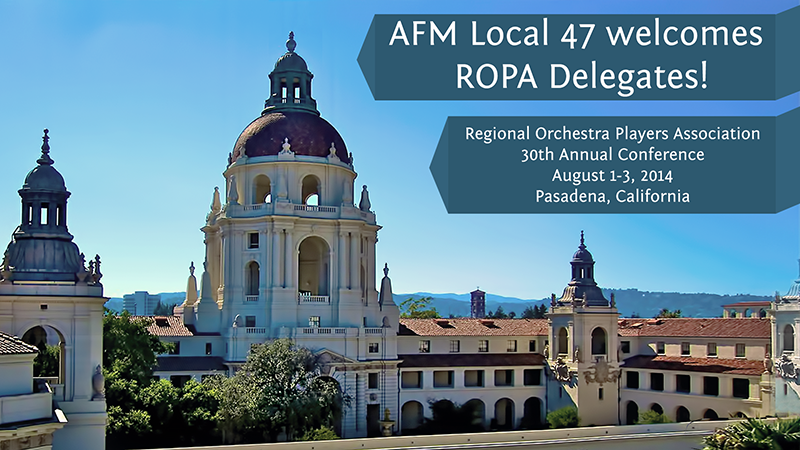 PASADENA, CA (July 31, 2014) — The American Federation of Musicians Local 47 is proud to host the 30th annual conference of the Regional Orchestra Players’ Association (ROPA). Each year, regional orchestra musicians from throughout the United States gather each year in a unique host city for an annual conference. 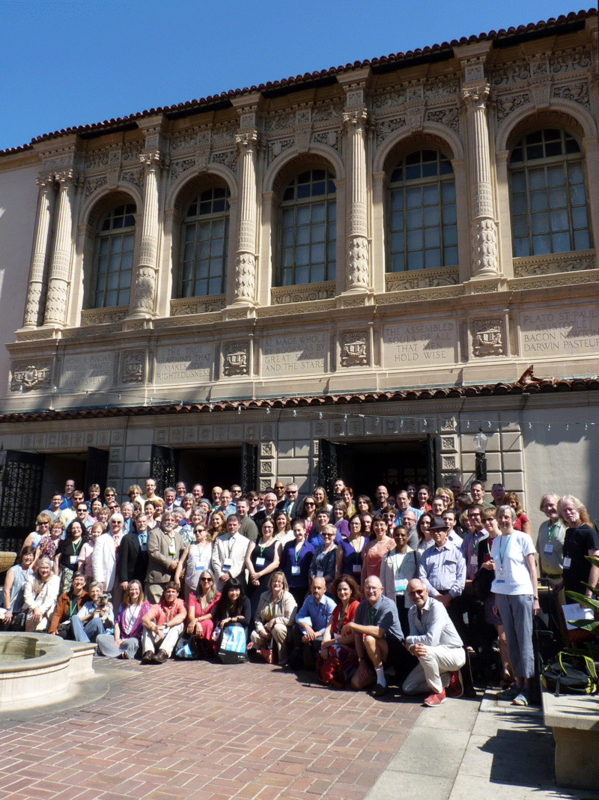 A representative organization within the American Federation of Musicians, ROPA pursues activities conducive to the general welfare and artistic well-being of member orchestras and their musicians, and serves to enhance communications among those orchestras and with the AFM and individual Locals. Local 47 ROPA member orchestras include the California Philharmonic, Hollywood Bowl Orchestra, Los Angeles Opera Orchestra, New West Symphony, and Pasadena Symphony and POPS. This entry was posted in Press Releases and tagged Carla Lehmeier-Tatum, Judy Chu, Maria Elena Durazo, Regional Orchestra Players' Association, ROPA on July 31, 2014 by admin.